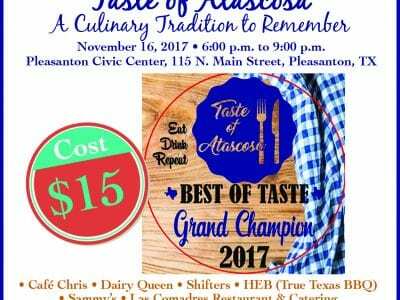 Taste of Atascosa November 16, 6:00 p.m. – 9:00 p.m. Pleasanton Civic Center Cost is $15.00 Live band and great food from your favorite restaurants are on the menu. 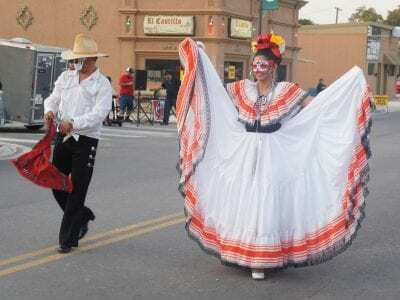 57th Annual Christine Turkey Dinner Community Homecoming Sunday, November 12. 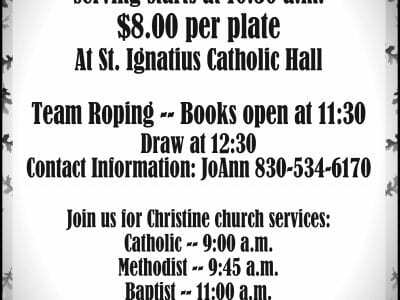 Serving starts at 10:30 a.m. at St. Ignatius Catholic Hall. 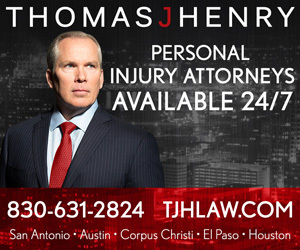 Team Roping, silent auction and more. 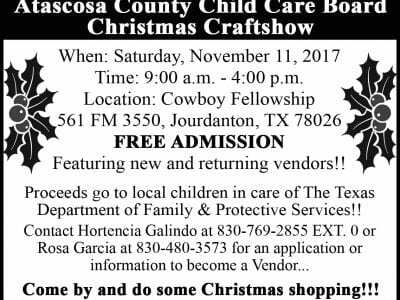 Saturday, November 11 – Atascosa County Child Care Board Christmas Craft Show at Cowboy Fellowship. 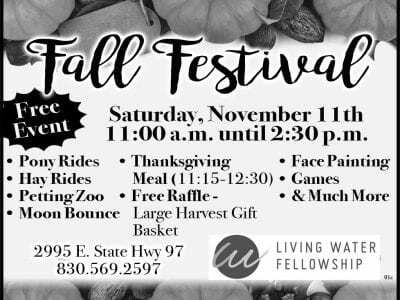 Free admission, 9:00 a.m. – 4:00 p.m.